127 Marlborough is located on the north side of Marlborough, between Clarendon and Dartmouth, with 125 Marlborough to the east and 129 Marlborough to the west. 127 Marlborough was designed by Peabody and Stearns, architects, and built in 1879-1880 by Weston & Shepard, builders, for Charles William Freeland, one of seven contiguous houses (121-123-125-127-129-131-133 Marlborough) built for him between 1877 and 1880, all in the same design and built for speculative sale. The original permit application for 125-127 Marlborough was dated September 6, 1879. On April 2, 1877, Charles Freeland purchased a 168 foot wide lot from the estate of Gardiner Howland Shaw, who had purchased the land from the Commonwealth of Massachusetts on June 12, 1866. Charles Freeland probably had originally planned to subdivide it into seven equal lots of 24 feet each. However, after building the first four houses at 121-127 Marlborough on 24 foot lots and beginning construction on 129 Marlborough at the same width, he purchased an additional 12 foot wide lot to the west on November 28, 1879, from Henry Lee, Jr. (part of a lot Henry Lee had purchased from the Commonwealth on November 18, 1879), and built 131-133 Marlborough on 30 foot wide lots. Click here for an index to the deeds for 127 Marlborough. On March 31, 1880, 127 Marlborough was purchased from Charles Freeland by William French Hastings, a merchant. He and his wife, Helen L. (Farnham) Hastings, made it their home. They previously had lived at 81 Pinckney. 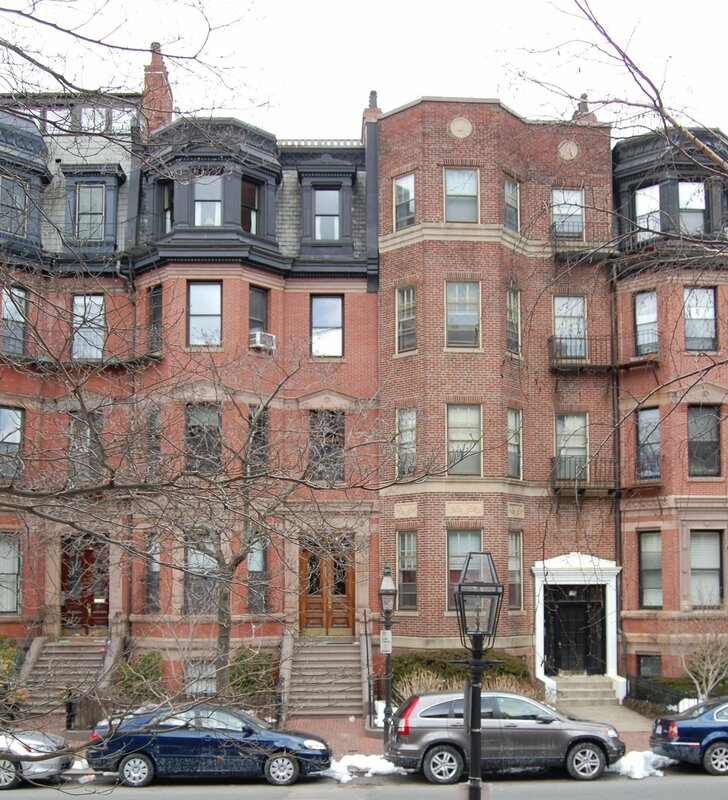 They continued to live at 127 Marlborough during the 1882-1883 season, but moved soon thereafter to Jamaica Plain. On September 13, 1883, 127 Marlborough was acquired from William Hastings by Matilda Stewart (Hall) Buck, the widow of David Buck. Their adult sons – Henry Hall Buck, a lawyer, and Dr. Howard Mendenhall Buck, a physician – lived with her. They previously had lived at 9 Somerset. Matilda Buck died in October of 1909. Henry Buck moved to 640 Huntington, where he died in November of 1910. Howard Buck moved to the Copley Square Hotel. 127 Marlborough was not listed in the 1910 Blue Book. On August 16, 1910, 127 Marlborough was purchased from Matilda Buck’s estate and heirs by Susan (Emmons) Garfield, the wife of attorney Irvin McDowell Garfield, son of President James Garfield. They previously had lived at 355 Beacon. They also maintained a home in Falmouth (until about 1935) and then in Woods Hole. They continued to live at 127 Marlborough until about 1939, when they moved to Newton. On May 6, 1939, 127 Marlborough was purchased from Susan Garfield by John Michael Grandfield. 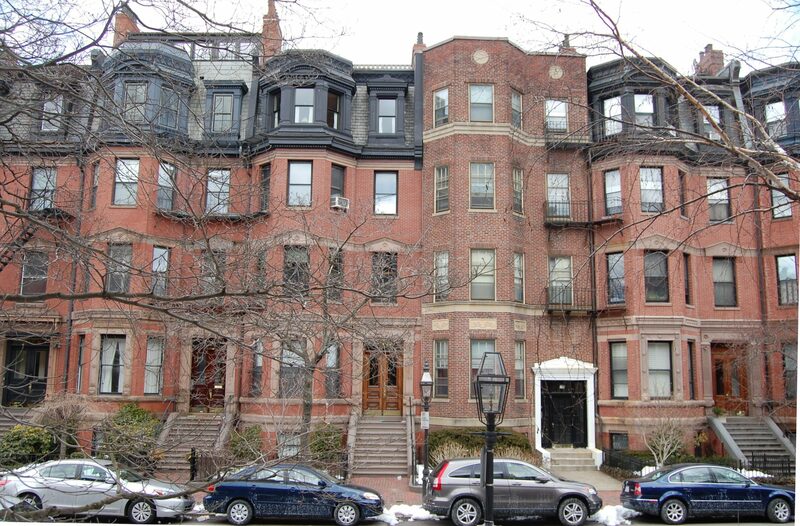 He previously had lived at the Harvard Club at 374 Commonwealth. His sister, Mary Christina Grandfield, lived with him. She previously had lived in France. They both were teachers. John Grandfield died in March of 1941. Mary Grandfield continued to live at 127 Marlborough until about 1943. On April 26, 1944, 127 Marlborough was acquired from John Grandfield’s heirs by real estate dealer Henry Joseph O’Meara, and on the same day, he conveyed the property to Winifred (Kidder) White, the wife of Maurice Towle White. They previously had lived in an apartment at 293 Beacon. They also maintained a home in Prides Crossing. Maurice White had been a leather manufacturer in the 1930s and by the 1940s was owner of the Distinctive Match Company. 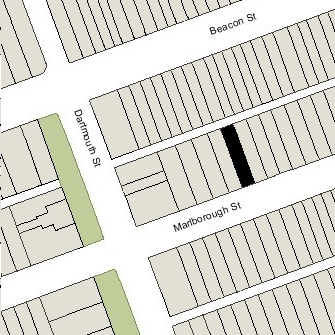 Also living at 127 Marlborough, probably in a separate unit, were Mary Grandfield, who had resumed living there after living briefly in South Boston (where she taught at the high school), and Mrs. Marjorie (Parsons) Gifford, the former wife of Christopher Gifford, who previously had lived in Concord. In March of 1950, Winifred White applied for (and subsequently received) permission to convert the house from a single-family dwelling to three apartments. The Whites lived in one unit and Mary Grandfield and Marjorie Gifford lived in another, with the third rented to others. They continued to live there until about 1965. On November 17, 1965, 127 Marlborough was acquired from Winifred White by Rocco E. Paoletta, trustee of the 127 Marlboro Street Trust. In October of 1965, prior to taking title to the property, he applied for (and subsequently received) permission to increase the number of apartments from three to seven. The property changed hands and on April 23, 1971, was acquired by real estate developer Keevin Geller and his wife, Alice Ann (Bergman) Geller. On August 25, 1972, Alice Ann Geller transferred her interest to her husband. 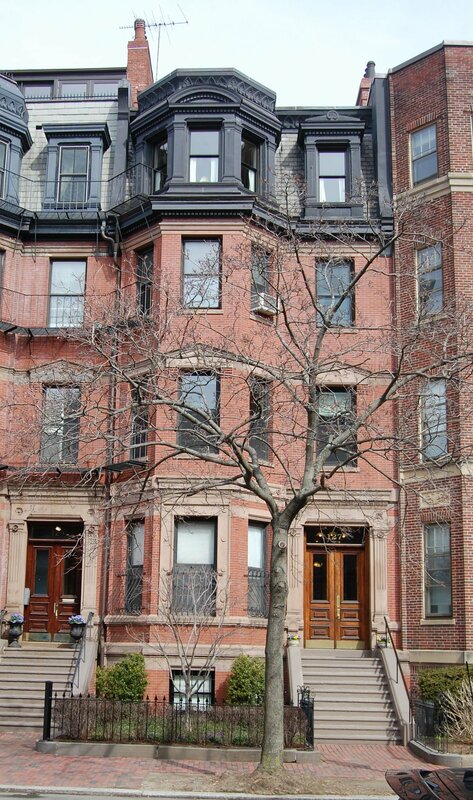 On August 25, 1972, Keevin Geller converted the property into five condominium units, the 127 Marlborough Street Condominium.